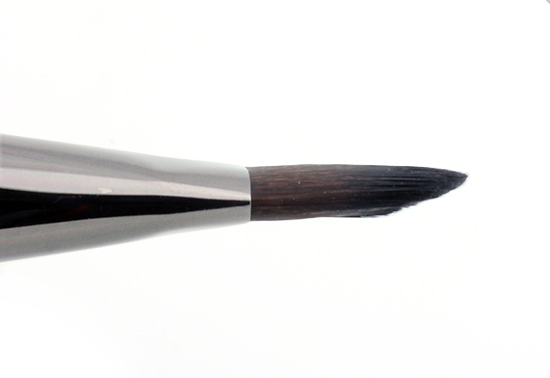 106 Foundation Brush from the Make Up For Ever Artisan Brush Range is a medium, flat and rounded brush for applying and blending foundation over the whole face. The brush utilizes a synthetic fiber technology to mimic silky softness of natural hair and was hand-crafted by a total of 30 people from start to finish. 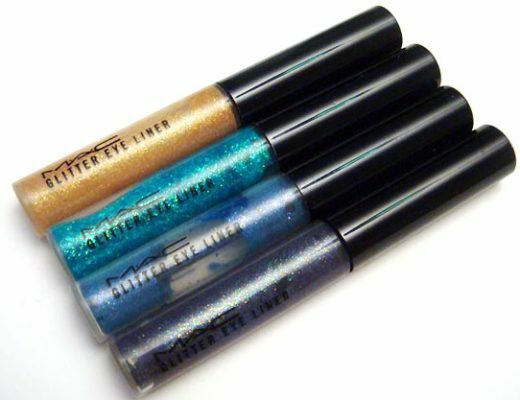 It features straight fibers for a more precise and generous application, resulting in fuller coverage. 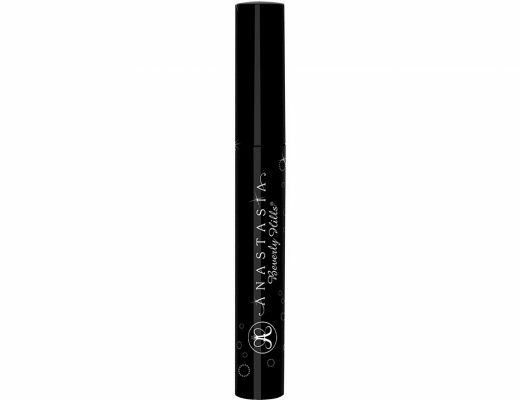 The shape is very flat, thin and reminds me of ink by Zing 04 Foundation Brush, only slightly bigger in size. 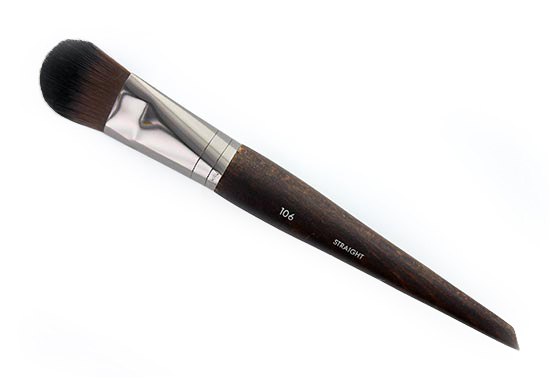 Like Zing’s brush, this also has a wooden handle that feels sturdy with just the right amount of weight so it lays comfortably on my hand. The bristles were dense and much softer than some of my other synthetic foundation brushes like MAC 190 Foundation Brush and Stila 33a Foundation Brush. They felt just like natural hair and did not irritate my super thin, sensitive skin at all. 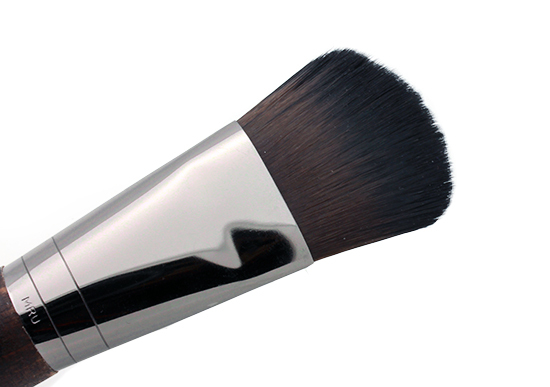 The brush can also be used with all types of foundations. 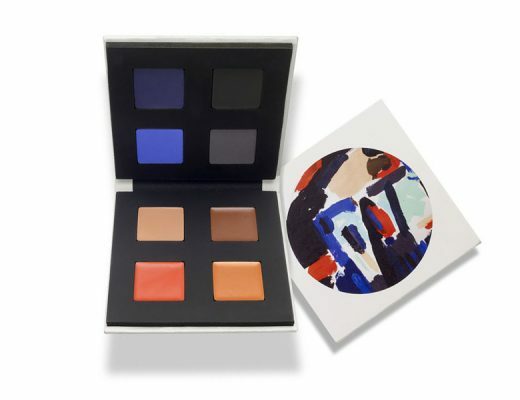 I have used it to apply liquid (NARS Sheer Glow Foundation) and cream (NARS Radiant Cream Compact Foundation) formulas and both worked beautifully. Application was fast, even and simply streakless! Thanks Make Up For Ever for making a new HG foundation brush for me! 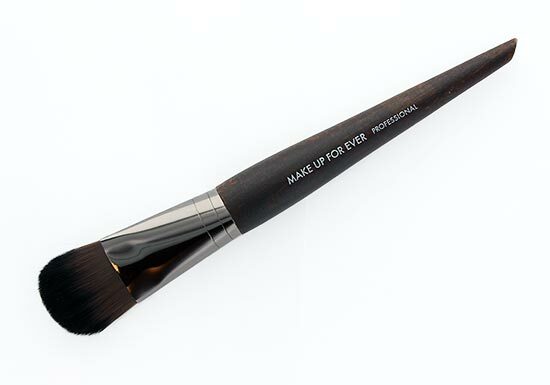 Make Up For Ever Artisan 106 Foundation Brush is available at Sephora and Make Up For Ever Boutiques at $36.